Should You, or Should You Not Respond to an RFP? The question is especially common for smaller organizations, which must make hard decisions on how to allocate precious — and very limited — resources to the RFP process. Larger organizations often have whole dedicated RFP/RFI departments. So the focus of this article is the individual or small vendor. The technical answer of course is — it depends. Depends on your organization, the RFP requirements, the risk of getting vs. not getting the RFP award, the size of the RFP, and many other factors. For many organizations, it’s really challenging to make a simple and clear decision. Over the years, I’ve worked with literally hundreds of RFPs — from both sides of the table. I’ve created them with and for companies, responded to them as part of our own company, combined forces with other small companies to respond to really big RFPs, been the person doing the actual work in a successfully won RFP, and all points in between. This article shares a few points and “lessons learned” along the way. May you find them useful when planning your next RFP response. RFP — Request For Proposal. Company A (or government/organization/non-profit, etc.) has something it needs done. The need may be any type of work or project, from building a building, to creating software or moving a data center. Company A collects its requirements and “nice to have” items into a big formal documented and sends it out for bid. There are numerous posting services for bids, or, Company A may directly invite particular companies to bid. Typically, the company creating the RFP knows what it wants, but may not know how or in what ways the work will be done. The RFP will request guidance, and suggested plans for how the responding vendor will solve the problem or do the work. Companies interested in bidding or making proposals on the RFP, will submit an RFP Response. Note, the RFP itself can be a very large document, requiring 20 − 100+ pages in response. The bigger the project (and money involved), the bigger the time investment. RFI — Request For Information. Company A contacts Company B and asks for information about its work history, existing clients, ability do a particular project, etc. Typically, the RFI is designed to learn more about particular vendors, and help the RFI creator decide if a vendor can actually do the work. An RFI can be as simple and informal as an email inquiry, or a more formal document. An RFI requires a much smaller time commitment than an RFP and may just be a simple research request. NOTE: There is a variation called “RFQ” or “Request For Quote.” The RFQ can occur after a RFP, RFI, or as a completely separate process. For example, if you are shopping a particular kind of car and call 3 dealers asking for their best price on the car, you are placing a “Request For Quote”. I refer to the RFI as “tire kicking”. Companies submitting an RFI are often just price shopping, or doing general vendor research. Nothing wrong with that approach — we all do that — but don’t spend too much responding to general RFI inquiries. If you have a good reputation and relevant information to share, then pass it on and suggest a formal consultation. If the RFI requestor is serious, he’ll be back in touch with a real project and real money behind it. On the other hand, there is another school of thought which says to be overly helpful, and shower all inbound questions and answers with hours of “overhelping”. The idea is that “overhelping” will make the RFI requestor strongly biased in favor of your company. The reality is that many RFI requestors are hamstrung by limitations. Budget limitations, committee limitations, rigid vendor selection criteria, rigid procurement and payment criteria, whether or not the RFI vendor is on the “approved vendor list”, etc., etc. Also, most “tire kickers” don’t have the direct purchasing authority to write a check to your company. And, often the tire kicker doesn’t even represent an actual, fully-funded project. She may just be trying to decide if she’ll do a project at all. When a company submits an RFI, I recommend insisting on scheduling a high-value, complimentary consultation. If the RFI requesting company is really serious about an actually funded project, they should be serious enough to engage with you on a consultative basis. The consultation may be complimentary (this is our company’s approach), include 1/2 to 1 hour with all key decision makers, and deliver actionable information. (That is, if it’s a company you would want to work with.) That way, even if the company doesn’t hire you, you can often get a referral or recommendation that will help you win other projects. Requests for Proposal or “RFP” can be expensive and time consuming to create, much less respond to. Often, there are many stakeholders involved, many different decision makers, and many barriers to payment. The trick to being successful is finding out all the “insides” of the RFP. Why was it REALLY created? Who created it? What is the creator’s role in the organization? Does he or she have actual purchasing authority, or are they just a cog in a much larger wheel? Did a vendor create it for the requesting company? If so, did the vendor create it in such a way as to be overly favorable toward that vendor? Opportunity costs of not pursuing other direct clients who have money in hand, while responding to the RFP. The perceived chance percentage your firm could be selected out of several — or even dozens — of other bidders. Calculate the RFP requestor’s award ratio. There are many organizations, including governments, who may engage with you throughout the entire RFP process, only to later halt or stop the bidding process entirely. Or, cancel the project after it is awarded. Try to find out how many RFPs are created vs. awarded by that organization, before bidding. (It’s not easy, but worth a little research.) For example, freelance bid services such as Elance include this statistic. It helps potential bidders understand if the requestor is a perennial tire kicker seeking only free information, or if he is a bona fide bidder with budget. I recommend responding only to organizations with a 75% or greater award ratio. Avoid any RFP requiring a “shotgun” approach. Let’s say you just found out about this great RFP. You just know you can do it. They payoff is huge. There’s only one catch — the deadline is 2 – 3 days away! Rushing the process can lead to mistakes and reduce the time spent on research. Research is SO vital to the decision process that I almost always recommend against shotgun RFPs. If you don’t have the time to do it right, just sit this one out. There will always be plenty more RFPs in the future. If you do decide to respond, consider engaging an RFP Specialist to help increase your winning percentage. Products — No quote provided without an informal discussion (doesn’t need to be a consultation), unless you have a flat rate bulk service. If you have a flexible and adjustable licensing model (and if you don’t, you should…) then emphasize that benefit and focus the discussion on your flexibility. If the RFQ requestor wants pricing on “30,000” seats for a software product, then quote them the price, and make it clear how adding or removing is flexible and painless. Also link to value propositions when submitting your quote. For today’s CIO, “actual usage pricing” is more important than “bottom line/per unit pricing.” Today, people only want to pay for exactly what they use, and stop paying immediately for anything they are not. It is staggering how few companies today actually offer this model. Be one of them, and you can go very far in winning the RFP battle. Services — No high-end consulting or services quote should be provided without a complimentary consultation. Requirements are everything when it comes to quote submission. Companies that are unable or unwilling to engage you in a high-value complimentary consultation will not make good clients. 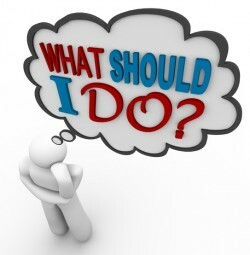 RFI and RFQ decisions are generally pretty quick (or should be). For RFP responses, consider all the facts, get “under the covers” to find the real RFP information, then decide. Yes, RFP responses can be difficult and time consuming, but the payoff can be HUGE! Nothing really worthwhile is easy. But deciding whether to respond requires careful consideration. There is significant cost to doing — and NOT doing an RFP response. Need help deciding? Or, have you already decided and are ready to create a winning proposal? Contact me to get it done. Want more information first? Check out out the RFP Services section on my consulting page. To your RFP bidding success!